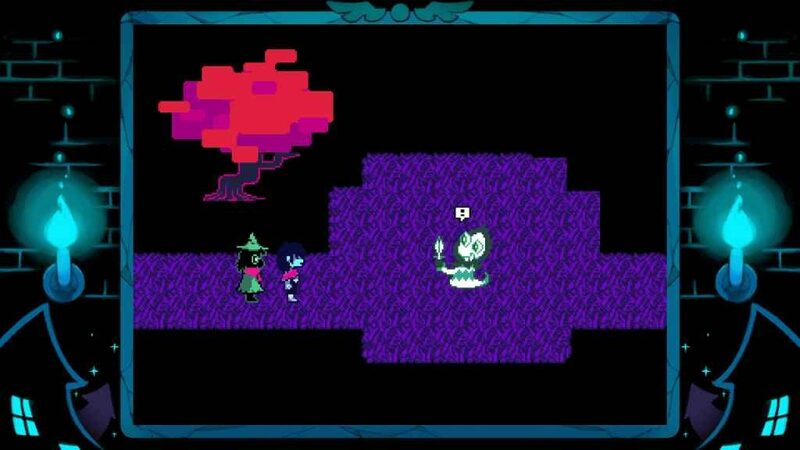 Having launch on PC and Mac back in October 2018, it has now been revealed that Deltarune Chapter 1 will arrive on PS4 and Nintendo Switch on the 28th February 2019. As with the original PC release, Chapter 1 will be available to PS4 and Nintendo Switch owners free of charge. However, this won’t be the case with future chapters. Should I Play Undertale Before Deltarune Chapter 1? While previous experience with Undertale isn’t essential, players were urged to try it before downloading Deltarune in yesterday’s announcement Tweet. Deltarune is a sequel to 2015’s Undertale, after all. Albeit one that’s set within a different world chock full of new characters; including the protagonist who, this time around, is a brown-haired child named Kris. Nonetheless, from a mechanical perspective, Deltarune is very similar to its predecessor. Players have the option to attack or spare their foes, for example, just as they did in Undertale. Although the new party system can make it difficult to show mercy at times, admittedly. The most important thing, however, is that Undertale itself is absolutely fantastic. Brimming with originality, humour, and a sincere regard for the classic RPGs of the past. Undertale is a very smart RPG that hides its depth below a relatively simple front. But mechanical subversion alone does not make a game this special. No, Undertale is fantastic because on top of that, it has wonderfully sharp writing that effortlessly takes you through hilarity, shocks, and sadness… [with] highly endearing characters that do more to connect with you in minutes than most can manage in hours.